XXL early Pilastro unit. 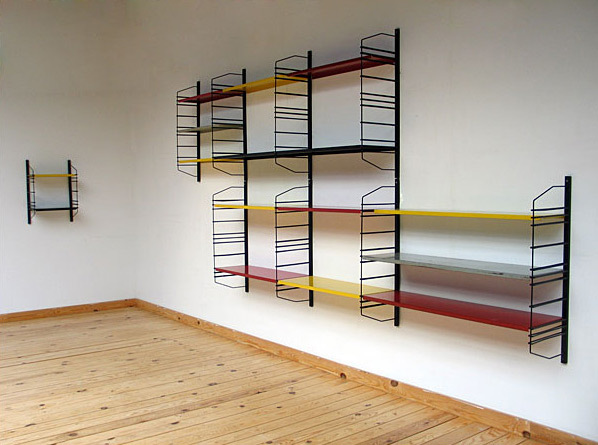 16 colored metal shelves (grey, red, yellow, black). The unit is modular and can be adjusted at your needs or idea. Can be used for book storage or in the kitchen.